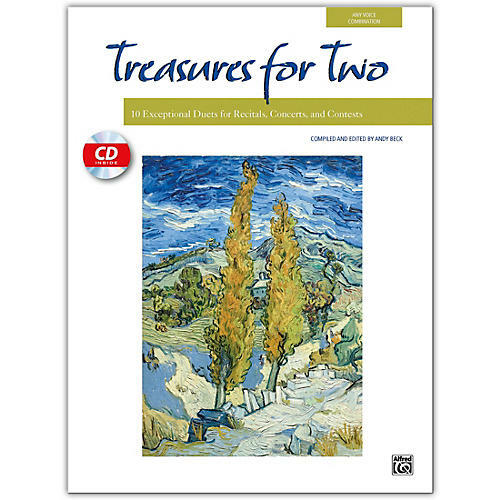 This Treasures for Two Book features artistic and poetic texts set to music by some of Alfred Music's best writers specifically designed for two singers. Equally appropriate in concert and contest, each duet is more expressive than the last. Pair two female voices, two male, or one of each on these elegant selections. Truly a wonderful way to increase the ensemble skills of your students and showcase the vocal accomplishments of developing artists. Titles: For the Beauty of the Earth * Make a Joyful Noise * Remember Me * Sigh No More, Ladies * The Snow Begins to Fall * and more.